Not every account proved to be a winner. Here was a case in point. 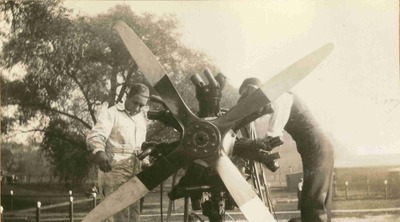 A small aircraft company was bent on buildinga flying boat for sportsmen’s use. They finally took an engine on consignment and installed it. When the machine was ready to fly, it would not take off because the hull design was so bad it that would not plane out of the water. The engine functioned perfectly but the design didn’t. Needless to say that the company failed and we were out an engine.